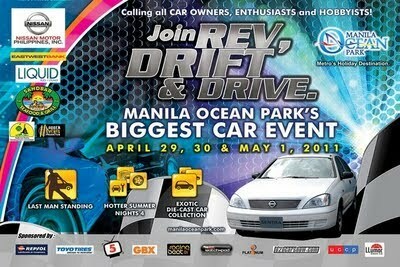 It's going to be a fun-filled summer at the Manila Ocean Park from April 29 to May 1 as Manila Ocean Park holds its Biggest Car Show event called Rev, Drift & Drive! 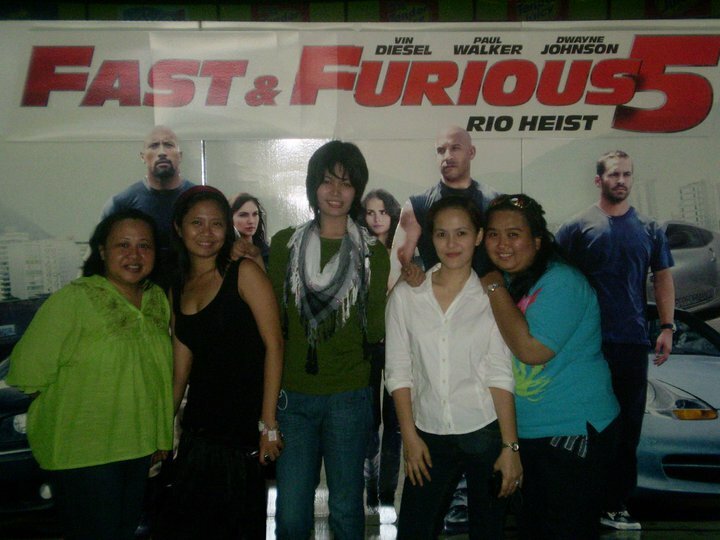 At the Rev, Drift & Drive press conference held last April 18, the Manila Ocean Park management unveiled what's in store for next week's program. There will be a car show, a showcase of die-cast car collection, a GBX Cup Drift Competition, a drive-in movie marathon and much more! 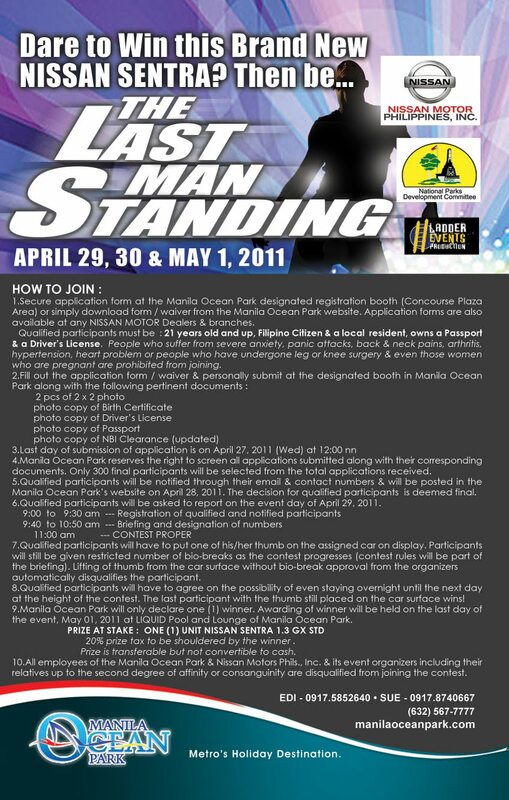 This three-day event will culminate with the awarding of "Last Man Standing" challenge winner who takes home a brand new Nissan Sentra 1.3 GX STD! 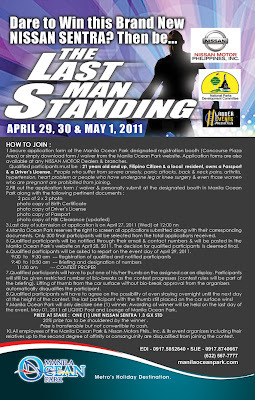 All those interested to join in the "Last Man Standing" challenge may get the form from Nissan Motor dealers nationwide or download the form at http://www.manilaoceanpark.com/news.php?id=114&l=indexnews and submit it personally to Manila Ocean Park designated booth on or before 12:00NN of April 27, 2011. This summer event is sponsored by Manila Ocean Park and co-presented by Nissan Motor Philppines, Inc., East West Bank and in cooperation with Wave 89.1, Ladder Events Production, b2bcarshow.show and the National Parks Development Committee.